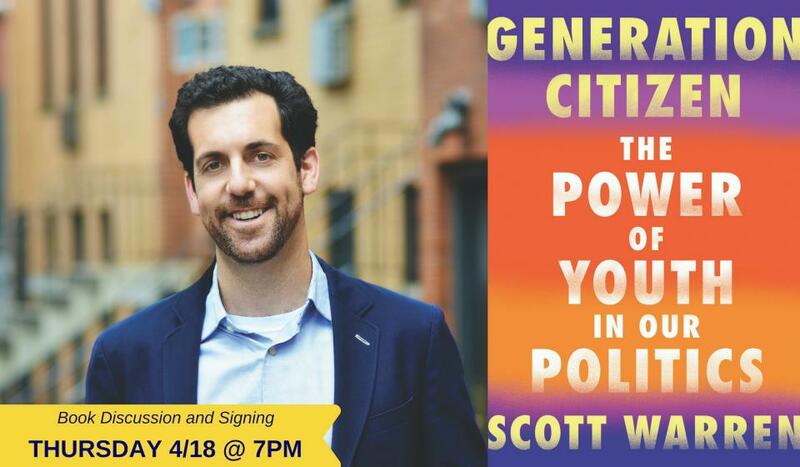 Championing the activism of the young, Scott Wilson's GENERATION CITIZEN is an empowering reminder of the positive power of politics, and an inspiring, actionable guide for anyone ready to fight for democracy. America is at a crossroads. We are alienated from civic engagement, and our democracy is in doubt. Yet there is a new energy in the air. Young people are again taking up the role they’ve often held: as leaders of change, demanding a better future, wielding their votes to uphold democracy and lead the country forward. Enter Generation Citizen, the organization dedicated to empowering youth through revitalizing civics education across America. Since its beginnings in 2009 during CEO and cofounder Scott Warren’s senior year at Brown University, Generation Citizen has grown to become one of the preeminent civics education organizations in the country. The book GENERATION CITIZEN: THE POWER OF YOUTH IN OUR POLITICS details Warren’s political awakening alongside stories of how young people have always been the instruments of political change. GENERATION CITIZEN is also a practical guide, providing concrete steps to jumpstart an engagement with politics and rekindle our love of democracy. Through interviews with students and historical portraits of young people who have enacted great political change—from the civil rights movement to the election of Ronald Reagan to #BlackLivesMatter and the Parkland students’ standing up to gun violence—GENERATION CITIZEN shows that time and again, it is the young people who lead the way to change. Joining Scott in the Q&A portion will be local writer Amina Khan and Sandra Avalos from the North Texas Dream Team. SCOTT WARREN is the cofounder and chief executive officer of Generation Citizen. He has been named an Echoing Green Fellow, a Draper Richards Kaplan Foundation Fellow, and a Forbes 30 under 30 for Social Entrepreneurship. He has also been a social entrepreneur in residence at Brown University, and a social entrepreneur in residence at Tufts University. He is currently a democracy fellow at Brown University. Visit www.GenerationCitizen.org.